Writer, Media Maker & Accidental Creative. Creator of FourthHour.com & the #GirlGangMissives newsletter. 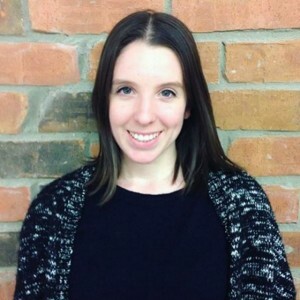 Nicole Belanger is a writer and media maker based in Toronto, Canada. Her original teenage plans to become a lawyer and/or work for the government thankfully got derailed in the early 2010s when she discovered a passion for writing as a way of breeding connection. Since then, her writing on everything from loss to beauty to careers have appeared in digital outlets like The Huffington Post, Refinery29, Urban Native Magazine, Modern Loss and Business Insider, as well as a print collection from Sumeru Press. Nicole is also passionate about independent women-run media; in 2015 she founded FourthHour.com, a collection ofcontent celebrating women’s stories. Through Fourth Hour, Nicole published an ebook, On Resilience in October 2015. Currently, her favourite project is her weekly newsletter, The Girl Gang Missives, which highlights the remarkable things that women are doing each and every week. You can follow her @nskbelanger, sign up for the Girl Gang Missives at tinyletter.com/yourgirlgang and read her work at fourthhour.com.